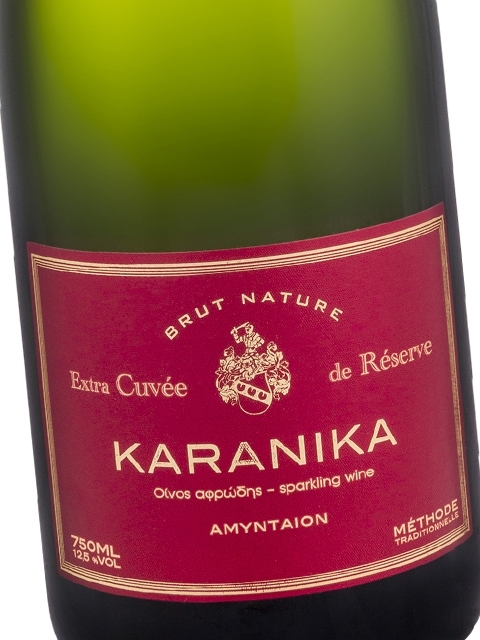 Domaine Karanika is considered as the best producer of traditional method sparkling wines in Greece by authorities of International status, like Champagne expert Tom Stevenson among many others. Their organic vineyards at the Amyndeo plateau in the far North-west of Greece include old to very old Xinomavro and the younger Assyrtiko vines, which are used to produce hand-crafted, world-class sparkling wines with character. Domaine Karanika was founded by Laurens M. Hartman - Karanika and Annette van Kampen. Laurens is the son of a Greek mother and a Dutch father. Both he and his wife Annette have lived all their life in the Netherlands and had worked for about 15 years in various management positions in publishing before one day they decided to pursue their dream: to produce top-quality wine. Over the years, they were trained as winemaker, oenologist and vineyardist in Europe and the US. They seriously considered all options, from Australia to Germany, but their love for the amazing Xinomavro variety led them to Amynteo in Greece. Laurens is Karanika's oenologist, winemaker, sales manager, tractor driver, mechanic, marketing manager, electrician, computer helpdesk and bio researcher. Annette was born and raised on a mixed farm south of Rotterdam. She now is Domaine Karanika's vineyardist and takes care of 5 hectares of old and new organic vineyards. She is the contraweight to Laurens' restless and creative mind. She makes things happen but first and foremost she is the perfect mother to their son Joris. Climate is semi-continental with cold winters and hot dry summers with cool nights. All Xinomavro comes from sand-dominated, phylloxera resistant soils in the Amyndeo plateau that allows the cultivation of 100% ungrafted vines. The soils are 60% sand and 40% clay on a total vineyard area of 4,5 hectares, 650 meters above sea level. All wines are 100% hand-harvested. 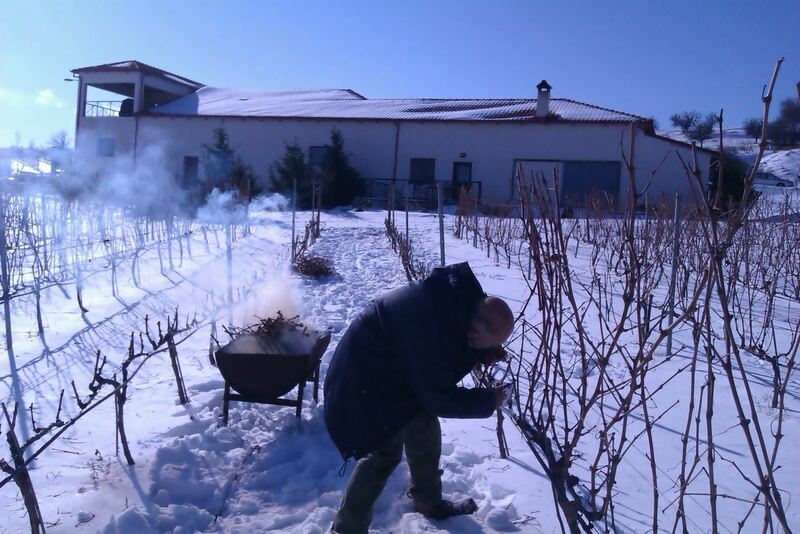 Karanika winery is situated between the villages of Amyndeo, Vegora and Levea, on a slope at the shores of lake Vegoritis. 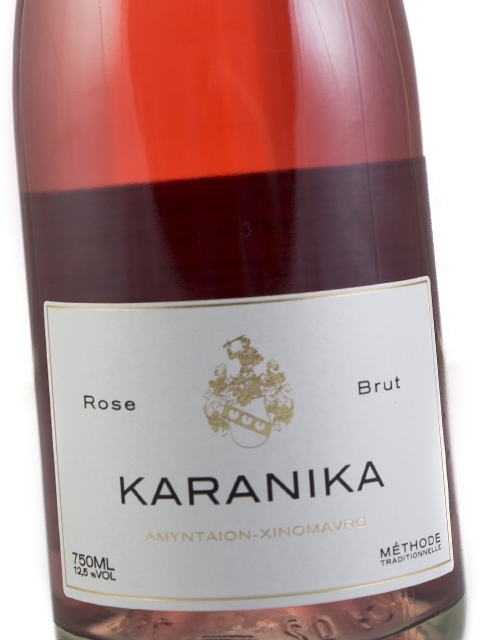 Aegean Wine Selections is very proud to include the superb, age-worthy and exciting sparkling wines of Domaine Karanika in its portfolio.